Pre-orders are becoming an increasingly important way in which books are sold and marketed in 2018, and indie bookstores can and should take part in this growing business. Heavily influenced by television and social media, the months before a title’s publication are critical, and pre-orders are a growing component of a book’s ultimate sales. By working with publishers to take full advantage of pre-order opportunities, indie bookstores can avoid lost sales, lost PR, and lost market share. In this session, panelists will discuss ways that stores can successfully promote and sell pre-orders to become an integral partner to publishers and authors. Learn about new methods developed and tested by a task force of indie stores--including processes and protocols for stores using various POS systems--that all stores can use to maximize pre-orders through marketing, tracking, and reporting. 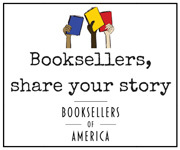 The session will include bookseller participation from the pre-order task force.